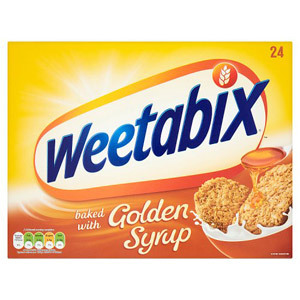 Weetabix is quite simply the UK's favourite breakfast cereal. 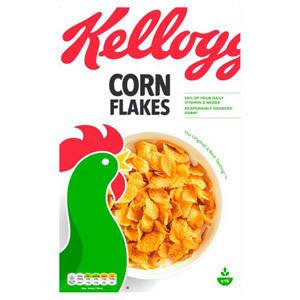 Made with nutritious whole grain wheat, this much-loved breakfast staple is packed with goodness and perfect for keeping you going right up to lunch. 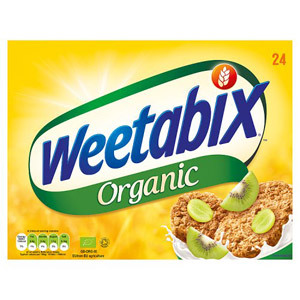 Weetabix was first launched onto the British market in the 1930s, and has been a steadfast fixture of breakfast tables up and down the country ever since. 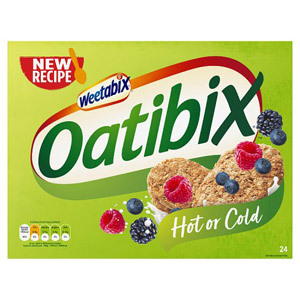 The traditional format of Weetabix is of course a rounded-off rectangular biscuit, ideally served in a pair with a generous helping of milk. 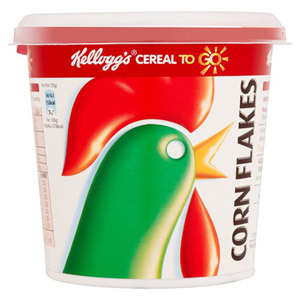 For some, it's essential to add a sprinkling of sugar over the top for a sweet flavour. 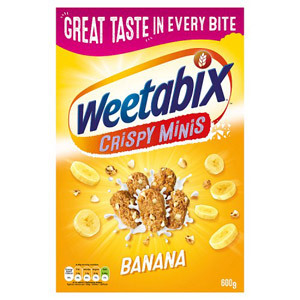 In addition to this classic version, you can now try a range of variants on the Weetabix theme. 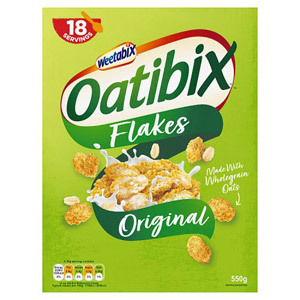 Our selection includes Weetabix Fruit and Fibre, Weetabix Organic Wholegrain, Weetabix Oatibix, even Weetabix Golden Syrup (mmm...). The choice is yours!